Today was a different type of off-day. Rindler and I decided to do the AT&T Park tour after seeing the game. Rindler has done a couple of tours with me, but since they were all on game days we were not able to go into the clubhouses. 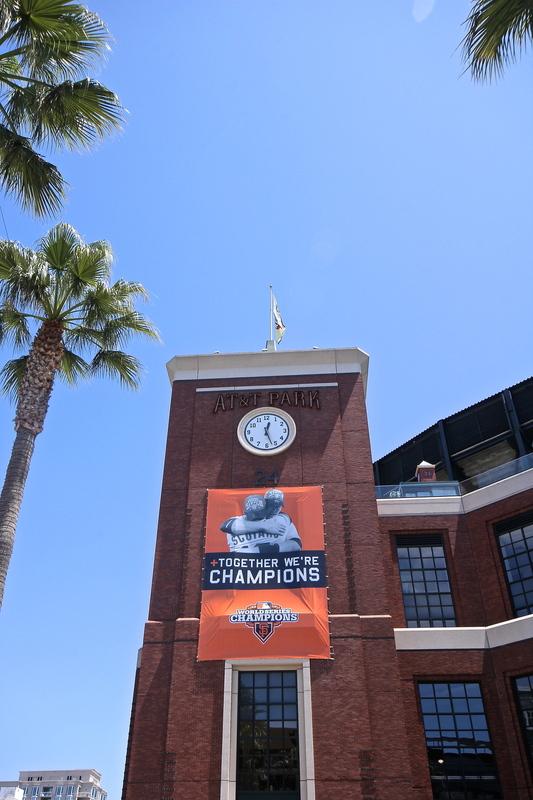 With the Giants starting a road trip today we had the opportunity to do the full tour of the stadium. The tour began on the main level where we stopped by the case of gloves, bats and balls dedicated to the "Say Hey Kid" Willie Mays. From there we headed up to the press box after which we checked out one of the luxury boxes. We spied on several workers power washing the stadium seats which was quite mesmerizing. From there we made our way down to the dugouts, but as they were still cleaning after yesterday's game we had to look in from a distance. The tour ended with Rindler finally getting to see a visitor's clubhouse. For pictures of the tour check out the gallery above. After exiting the stadium Rinder and I drove to Palo Alto to visit an old friend of ours. My friend Malini is the smartest person I know and I know a lot of very smart people. I won't go into too much detail about her level of genius because she is also incredibly sweet and I do not want to embarrass her. I have known Malini since I was ten, but we lost touch several years ago. As I have mentioned in a previous post, part of the reason I am doing this tour is to reconnect with friends and family that had previously disappeared from my life. I hadn't seen Malini in nearly six years, but when I sat on her couch I felt like we were back in high school (in a good way). We talked for hours and promised each other that we would both do better in keeping in touch. It was time to head back to the home we were staying at in Fremont for some dinner and sleep. When we got there, our hosts' two children Rohan (14) and Meera (10) were up and about so we sat in the kitchen and got to know them. The house where I am staying belongs to my father's college roommate’s wife's brother. Could you follow all of that? Essentially these are family friends that I see every couple of years for weddings and holiday parties. Because of that, we have never really gotten a chance to get to know each other apart from the superficial “Hi. How are you? What are you up to?” small talk. Thanks to this tour I have been able to get to know everything about the Sehgal family and now I can just refer to them as my friends. 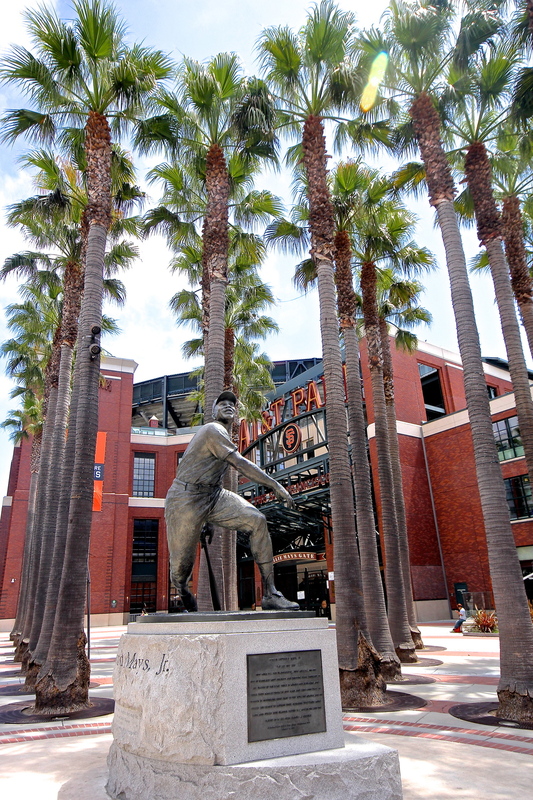 Tomorrow we are heading to Oakland Colosseum to watch the first place Red Sox take on the first place A's. This should be a wild one. Rounding Third may be coming to an end, but a new baseball season brings a brand new podcast. In this, the final episode, I introduce you to The Clubhouse Podcast and talk a bit about my favorite ballparks.